A winder, in English "Watch Winder", is all your automatic watches need. It keeps them "alive" and you save the repeated adjustment of your watches. As a watch connoisseur you will know that especially automatic watches with many complications are complex in setting. 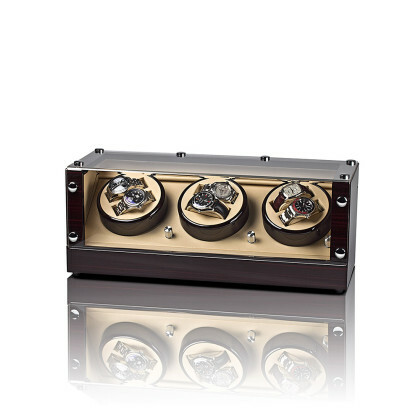 A watch winder for 6 watches is particularly practical. Our high-quality models are equipped with quality technology and many have different programs to meet the demands of different automatic watches. You can set the number of TPDs (Turns Per Day) or the direction of rotation - clockwise, counterclockwise or alternately. This way, your watches go with the highest possible precision and you always have the right watch at hand - no matter what the occasion. 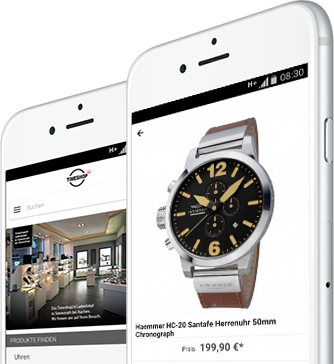 We offer of course for all devices a guarantee over 2 years on a perfect function. In case of a warranty claim, the experts from our specialist workshop for watches and watch winders will help you. We help with our workshop also gladly clock collectors and all clock lovers further, who would like to have an older wristwatch repaired. Treat your watches to a little luxury!